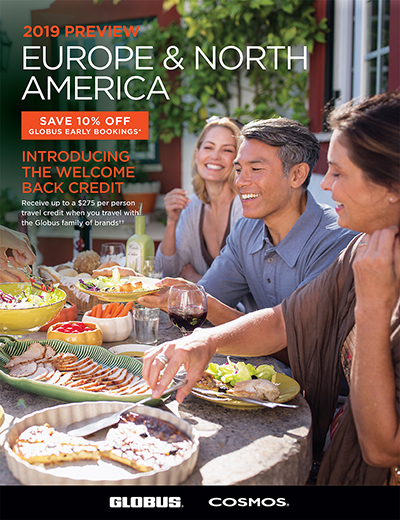 The Globus family of brands has released a 28-page brochure giving a preview of many of the companies’ tours to Europe and North America in 2019. Outlining the most popular tours, the brochure gives mini-descriptions of itineraries throughout Italy, off-the-beaten path tours in Portugal, Scandinavia and more, as well as U.S. National Parks-themed tours, tours to Newfoundland and Labrador, and itineraries which are traditionally best-sellers for groups. The EBB is valid until 27NOV on all 2019 Globus Europe and North America tours (excluding Escapes by Globus). Cosmos clients who book by 23OCT will receive a $50 discount.